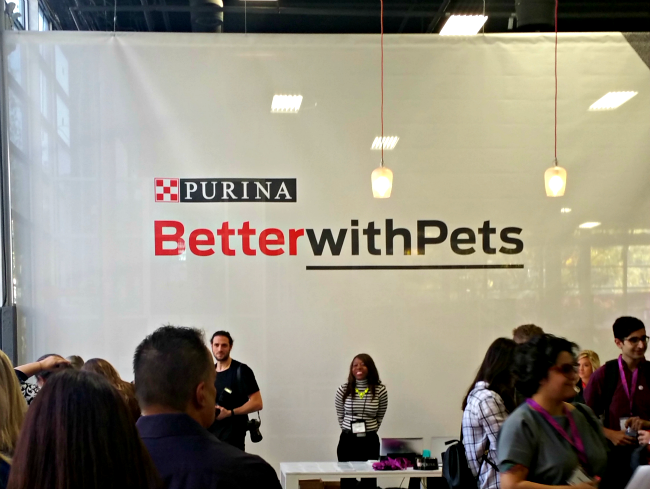 This post is in partnership with Purina. All thoughts and opinions are my own. 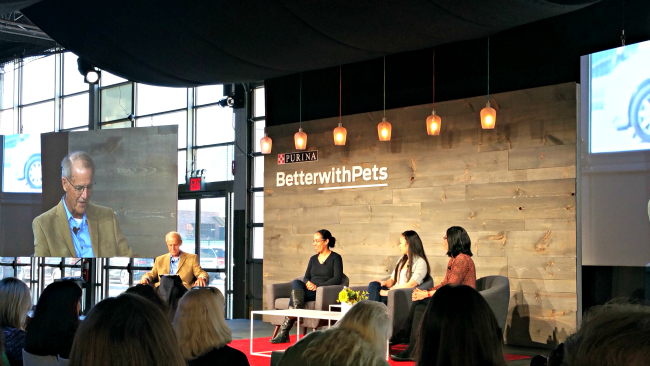 Recently I was invited to New York City for a very fun and informative event, the Better With Pets Summit. You may remember that I have been the past few years to this event and this year was even better than the previous years. It just keeps getting more and more fun and educational! I learned so many things at the event and loved the interactive part of the summit in the afternoon. There was so much to see and do. 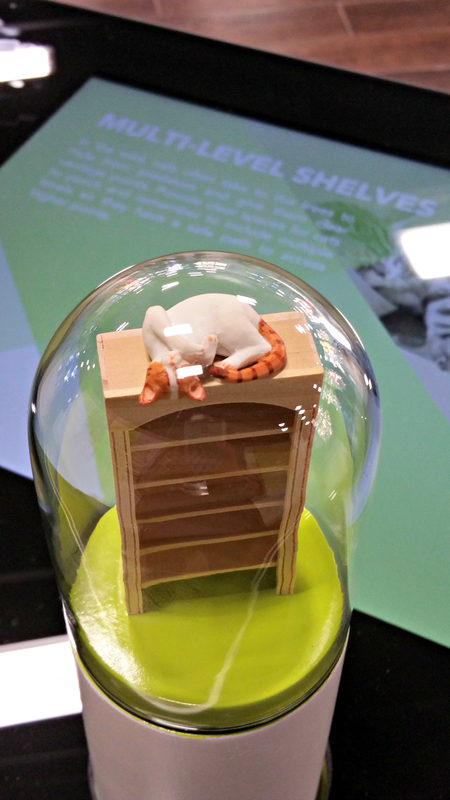 One of my favorite things that afternoon was the PTSD help dogs I saw and the cool miniatures that teach lessons. The morning sessions is when the best information was presented though. There were several leaders in the areas of discussion. 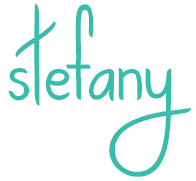 I learned more than I thought possible in one morning! 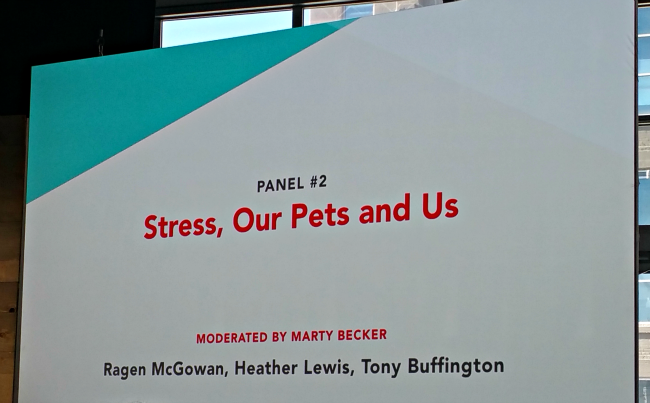 My favorite talk was about stress and our pets. I have seen the effects of stress on my pets so this was something that really interested me. Do you know how pets show signs of stress? You may see your pet licking, yawning, hiding (especially cats I think), shaking, swallowing, not playing, or other odd behaviors. They feed off of our stress so you may see these signs more when you are stressed too. Did you know there is such a thing as good stress too? If you think about how you feel when under stress, you have to realize that not all stress is bad. You may be someone that enjoys waiting until the last minute to complete a project… that is good stress for you. Dogs and cats have good stress too! Acknowledge good stress! The best way to do this is through puzzle feeders. They allow the pet to work for their food, something many pets enjoy. We have one of these for Rocky and I have to say, in addition to it slowing down his eating (good effect), it also appears to be something he enjoys doing. Keep a routine! We notice whenever we aren’t on our normal routine that our pets notice. Rocky was not the same when I was away in New York because his routine was messed up. He enjoys a routine, as do most every pet. If you keep to a normal routine, or make one and stick to it, your pet will feel less stress. Be active! Exercise is good for our stress and the same is true for our pets. Keeping your pet active will help relieve the stress they are feeling. Take them for a walk, let them run around, or toss a ball. 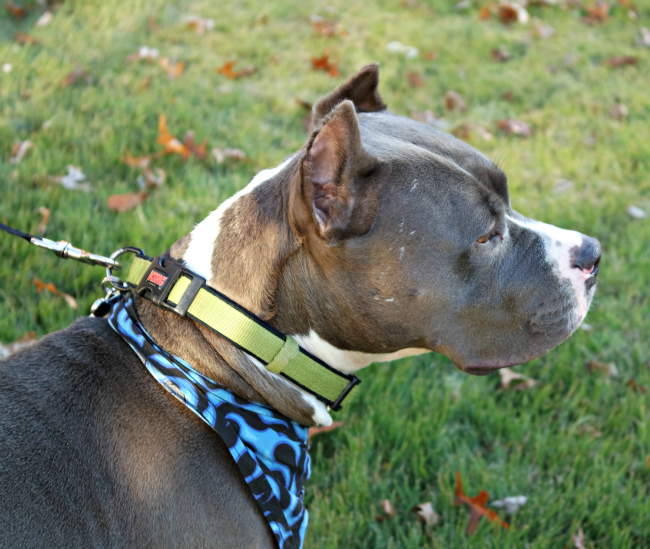 All are great ways to eliminate some stress that your pet may be feeling. Allow them some peace and quiet! If you are feeling stressed out, you often may feel the need to destress alone. Well our pets are the same. If you notice your pet is stressed, give them a chance to go off on their own and have some peace and quiet. This is a good way for their stress to be managed, all on their own. Give them love! Giving your pet love and attention may be just what they need when they are stressed. If that doesn’t seem to be helping, it may be time to give them that peace and quiet I mentioned above. But, a nice petting may be just what they need to feel less stressed. My trip was short but I was so happy to get home. I missed my kids terribly but I missed my pups and kitty cat too! I saw many dogs and cats while there but there is nothing quite like coming home to this baby! Do you notice any signs when your pet is stressed? How do you handle it?